Off the California coast, lies one of the fastest growing forests in the world. This underwater oasis stretches from Mexico to Canada, and is the foundation for thousands of species that depend on it for their survival. 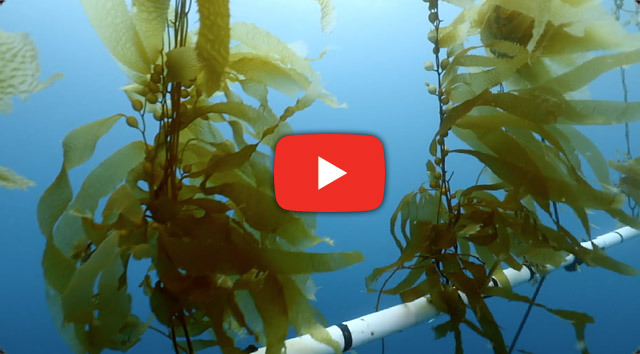 Join us as we dive into the chilly waters of the pacific, to explore California’s giant kelp forest. In this episode, we’ll meet researchers from the Wrigley Institute, who plan to turn Kelp into fuel. Stephanie Arne is Mutual of Omaha’s Wild Kingdom Wild Guide. As Wild Guide, Arne hosts an online version of Mutual of Omaha’s Wild Kingdom that features short, dynamic and fun webisodes exploring the modern-day Wild Kingdom. Originally from South Dakota, Arne began her career at Omaha’s Henry Doorly Zoo and Aquarium. An accomplished wildlife educator, she has worked in the field on wildlife projects in many places including Australia, New Zealand, Borneo and Papua New Guinea. For generations of Americans, Marlin Perkins embodied the Wild Kingdom. An accomplished zoologist with an encyclopedic knowledge of animals large and small, Perkins brought the wonders of the Wild Kingdom into Americans’ living rooms with a confidence and respect that underscored the importance of conservation. Perkins was host of Mutual of Omaha’s Wild Kingdom from 1963 to 1985. Perkins was also director of the New York Zoo in Buffalo, N.Y., the Lincoln Park Zoo in Chicago and the St. Louis Zoo. He died in 1986 at age 81. A member of the Wild Kingdom team since the show’s premiere on Jan. 6, 1963, renowned naturalist Jim Fowler remains an active ambassador to the world’s wildest places and creatures. Armed with keen knowledge of wildlife and a fearless swagger, Fowler was Marlin Perkins’ Wild Kingdom co-host until he assumed hosting duties upon Perkins’ retirement. He also was host of Mutual of Omaha’s Spirit of Adventure. Today he continues to represent the Wild Kingdom for Mutual of Omaha. As Mutual of Omaha’s special Wild Kingdom ambassador, Peter Gros shares his love of wildlife and wilderness with audiences throughout the country. Gros was co-host of the original Wild Kingdom and was featured in two Mutual of Omaha’s Wild Kingdom shows on the Animal Planet network: “Cheetah: Race Against Time” (2005) and “Magnificent Moments” (2007). He is a frequent guest on Live! With Kelly and Michael. Gros has nearly 30 years of field experience with captive wildlife, including establishing breeding and rehabilitation programs for endangered species and birds of prey. Sign up to receive monthly emails highlighting the best of Wild Kingdom. Please fill out all the text boxes before submitting. Thanks!